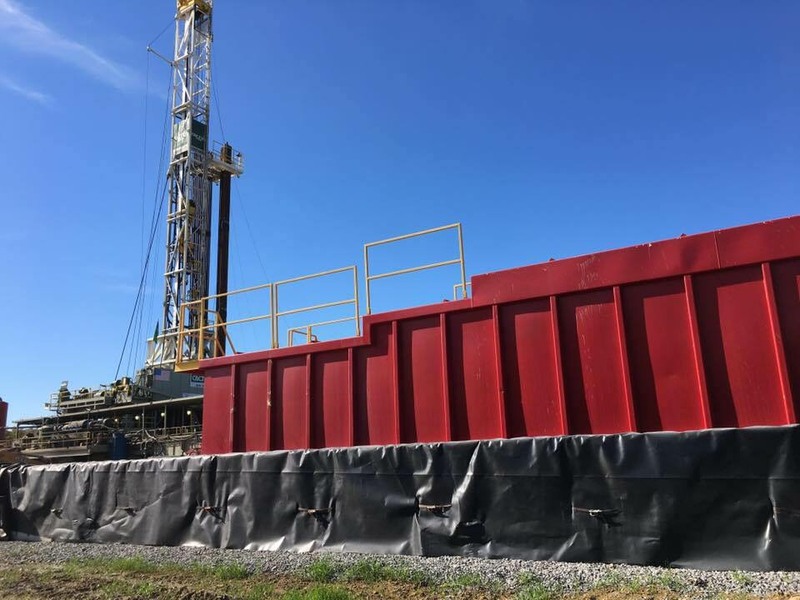 BlueWater utilizes the modular “Muscle Wall” system to provide solutions to fit any temporary secondary containment need. The system can be sized to fit the need and can be configured in different shapes to adapt to job site conditions. Geosynthetic liners of many styles and specifications are deployed to meet specific job requirements. Sprayed polyurea liners are also deployed when the job demands a more rugged, durable solution.